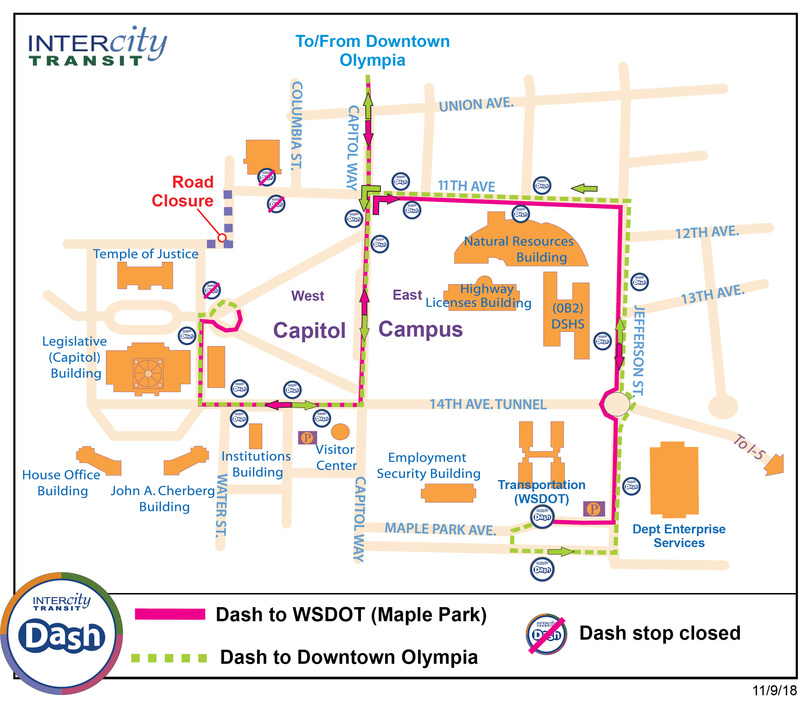 Dash will be on detour on the West Capitol Campus Monday, Nov. 12, 2018 - Sunday, Dec. 23, 2018 due to a utility improvement project. See the map below for details. We apologize for the inconvenience. For service information, contact Customer Service at 360-786-1881.